Two weekends ago we headed into the west end to see the musical Book or Mormon (which was excellent, but more on that later). Before the show we had dinner at Nonna's Kitchen a Sicilian restaurant located just round the corner from the theatre. Having been so wowed with the food in Sicily on our honeymoon we were both interested to see how Nonna's compared. 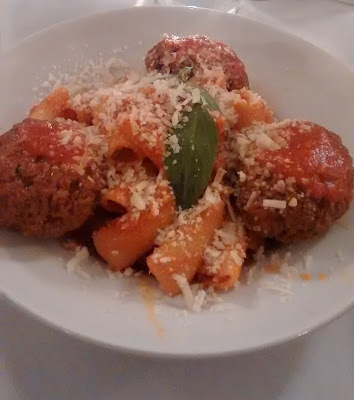 While nothing can really compare with the memories of your honeymoon, Nonna's was a very solid option in a touristy part of town I'd usually steer well clear of if I was looking for 'good' food. There were lots of dishes on the menu I'd identify with being Sicilian and, if I remember correctly, they import some of their ingredients directly from the island. We started with some bread, dips and olives while we were looking at the menus. An incredibly generous serving for £4 the restaurant are shooting themselves in the foot as it put us off ordering any starters. 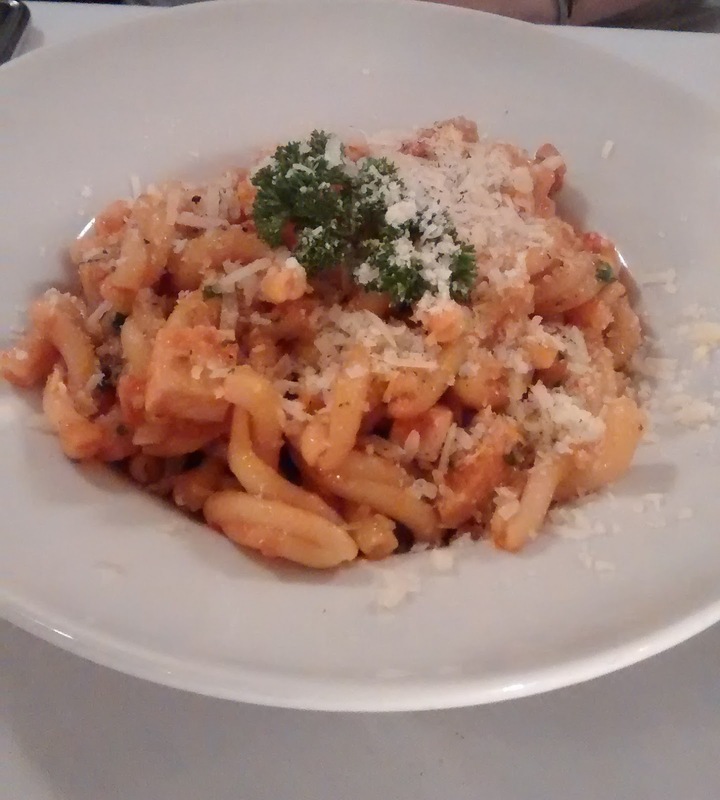 As a main course I ordered the rigatoni della Nonna. Initially I wasn't too impressed when a bowl with just three meatballs arrived in front of me, but looks can be deceiving as the meatballs were excellent. 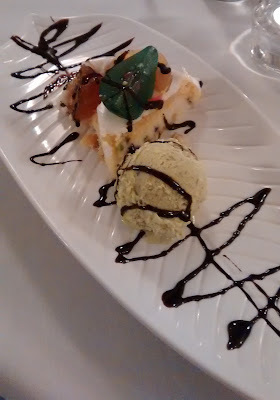 For dessert I ordered the cassatina hoping it would be like the one I tried at Café Sicilia. It was a completely different in cake in style and I couldn't quite change my expectations enough to fully enjoy it. The Book of Mormon tells the story of two young Mormon missionaries sent to a remote village in northern Uganda, where a brutal warlord is threatening the local population. Naïve and optimistic, the two missionaries try to share the Book of Mormon, one of their scriptures—which only one of them has read—but have trouble connecting with the locals, who are more worried about war, famine, poverty and AIDS than about religion. It was pleased we'd read the description as it gave me a frame of reference to understand what was to come, which was hilarious and brilliantly acted by the young cast.